During our intercession this year, SFCC wanted to provide an avenue of creative relief and creative expression for our corpsmembers and did so with the introduction of our Arts & Drama Academy! Understanding that individuals gravitate towards different modes of creativity, we offered several areas of creativity during the first week, including: 1) Claywork: Getting your Hands Dirty, 2) Painting: In touch with your creative side, 3) Improv/Acting: Drama 101 and Spoken Word: The Power of Language. In week 2 we held a series of workshops where corpsmembers joined in a Movement in Motion workshop with our Directory of Career and Community Development, Tom Holcomb. Here we encouraged a reconnection with the body, mind and soul to release expressive energy. Additionally we held a workshop on Making Videos where corpsmembers got into groups, went off in various locations with props and filmed a video on their experience with the San Francisco Conservation Corps. To conclude our Intercession Workshop Series we hosted a talent show where corpsmembers participated by sharing their art work, doing stand up comedy, rapping, doing spoken word and many others! During the month of October our Career Development Director and Career Pathways Coach facilitated weekly workshops to assess and increase financial literacy! 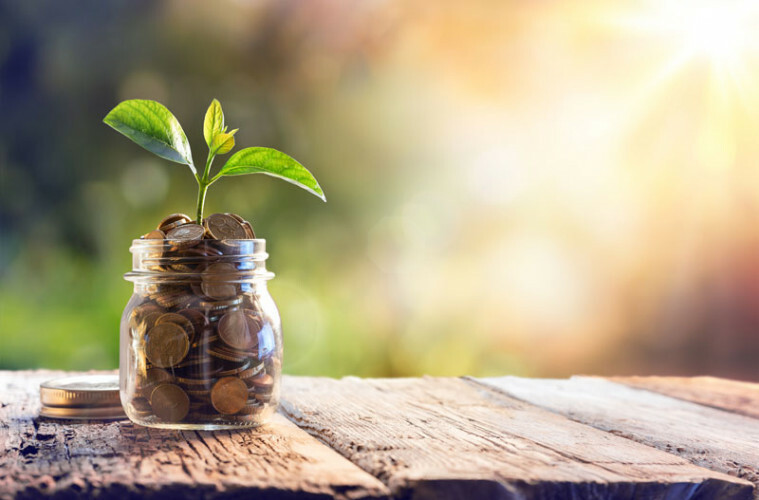 Corpsmembers learned about the Importance of Financial Planning, Making Sound Financial Decisions, Preparing Monthly Budgets, Understanding the Time Value of Money, Assessing Your Savings and Investment Goals, Understanding Consumer Rights and Building Good Credit! Cohort 18 participants presented on some powerful topics during this last month which included Gender Inequality in Employment and the Pay Gap, The American Disability Act and Racism, Prejudice and Inclusion in the Workplace! Corpsmembers formed three groups, researched the histories of each topic, the current status and learned about the significance of understanding each and knowing your rights and responsibilities as an employee. After researching their topics, each presented to the cohort and staff where they provided a thorough overview of their subject and even fielded questions from SFCC staff! On Friday, October 12, 2018 SFCC, John Muir Charter School and Success Center SF celebrated the graduating class of 2018! A huge thank you to all that attended the graduation celebration. We were thrilled that so many of our staff, board of directors, partnership members and community members were able to be with our graduates on their special day! Our educational curriculum highlights comprehensive skills development by linking academics to the service work our CMs participate in. This strategy develops and reinforces the basic skills necessary for both academic and professional success. Instructional strategies emphasize the practical application of learning using both work and academic subject matter. Our educational program guides participants to become life-long learners interested in pursuing further education and advanced training, and to continue to develop themselves academically over their lifetime. If you are interested in earning your high school diploma or high school credits, please visit us: we are located at the San Francisco Conservation Corps headquarters at 205 13th Street, Ste. 2001, San Francisco, CA 94103. SFCC Corpmembers worked at Candlestick Point State Park during the month of September on a series of urban green activities including habitat restoration & stewardship, consisting of: site preparation, installation of locally adapted native plants; and the emplacement of mulches and erosion mitigation features! And on Thursday, September 20th, SFCC corpmembers and staff attended the Ribbon and Cutting Dedication ceremony! It was an amazing celebration. The community can now enjoy access to six campsites, trail enhancements, and native plantings. 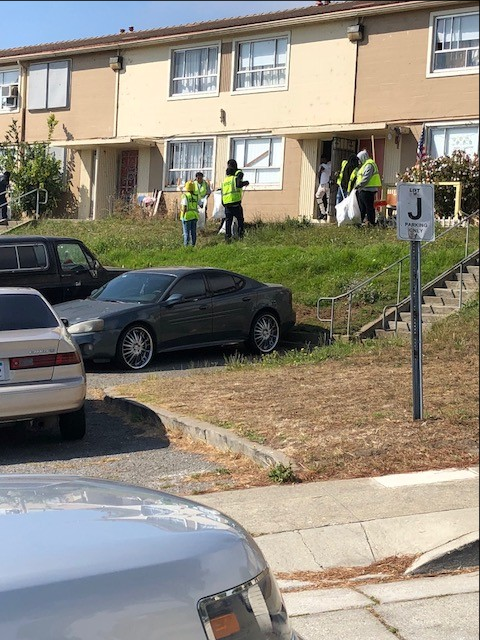 Thank you Literacy Environmental Justice for our continued partnership in establishing and preserving clean, green, healing spaces in the San Francisco Bay Area! SFCC staff and corpsmembers are grateful to have worked on this project and contributed to the restoration of Candlestick Point Park. The ceremony was both informative and incredibly healing as we took time to appreciate the need for the preservation of natural spaces and the power of community. A heart felt thank you and from the San Francisco Conservation Corps! On Wednesday, September 19th, SFCC corpmembers (CMS) and staff attended a Digital Equity Workshop hosted by the San Francisco Office of Digital Equity as part of a citywide effort to develop a strategic plan to close the digital divide. The city wide effort aims to ensure all residents have the tools and ability to particpate in digital society and has dedicated resources to helping residents overcome digital barriers and to improving community standards of living. CMS and staff broke out into three groups and began to discuss what the City should do to meet their technology needs. Four large posters boards quickly increased with powerful insight as facilitators took notes and CMS excitedly shared their experiences with WiFi service, surfing the internet, mobile use and technological education. Facilitators informed us that nearly 100,000 residents lack Internet access at home, which CMS, confirmed as they shared stories of going to the public library or local shops to access the Internet. Corpsmembers really enjoyed sharing their perspective and are grateful to have been invited to the table to have the discussion and their voices heard by the City of San Francisco! SFCC celebrated Labor Day with our corpmembers completing the 6 week intensive OneTreasure Island Program and receiving job offers! We’d like to congratulate Eric, Donja, Alfredo and Damien for the employment opportunities they secured and celebrate their focus, persistence and hard work! THE FUTURE. HARD AT WORK. SFCC also celebrated corpsmember, Huil, who successfully completed the Chase Arena Training Program and got offered a job on the spot! Mayor London Breed and Clark Construction announced that his job would begin on Tuesday. It’s safe to say that this is a Labor Day that SFCC and corpsmembers will never forget! 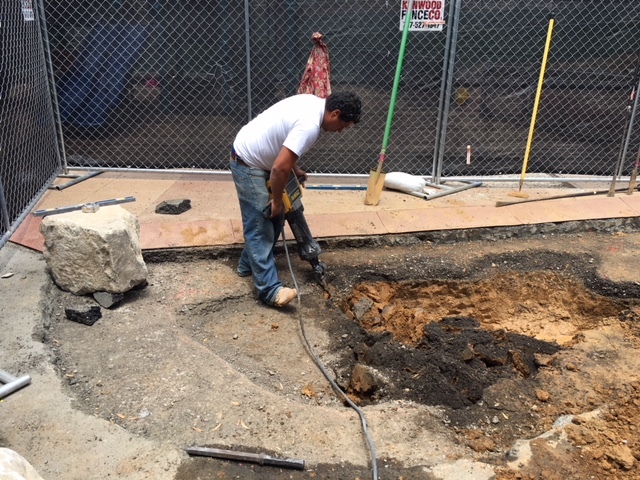 Update: Paul Revere Elementary School Living Schoolyard! 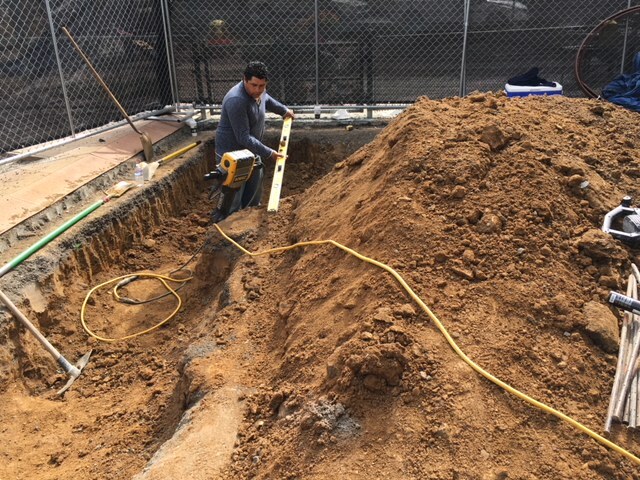 Throughout the months of July and August, Corpsmembers (CMS), staff and members from our partner organization, JW+A Associates worked together to install our green economy project rainwater catchment system at Paul Revere Elementary School! 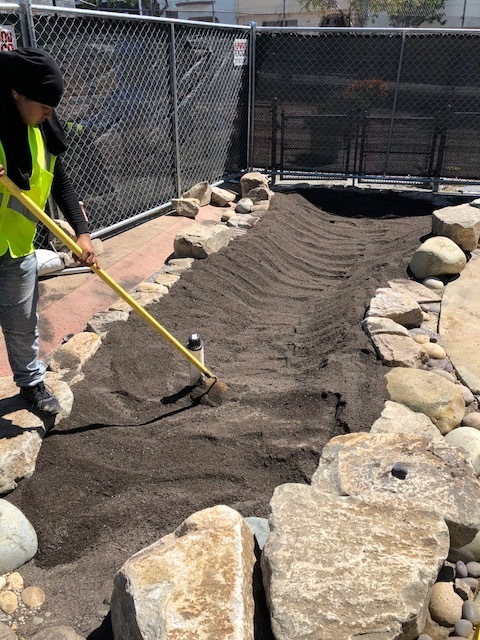 Through providing "Green Pathways Forward" for young adults, we combine multiple benefits and create sustainable and needed career pathways in urban and Bay ecological restoration and green infrastructure installation and maintenance. CMS are grateful to have gained exposure to green infrastructure, design, science, engineering, and horticulture while acquiring experience in essential trades to develop skills to create a thriving ecologically regenerative City. Thank you to JW+A for this incredible collaboration and green opportunity! "We create gardens where people engage with nature and each other." On Thursday, August 16th, SFCC Corpsmembers and Staff attended the Sunnydale Clean-Up Campaign Event. We spent the day together with the community and our partners: Boys and Girls Clubs of San Francisco, Mercy Housing, Green Streets and The YMCA, with great food, fun entertainment and a backpack giveaway! Community members dropped off items to be recycled which included computers, monitors, televisions, printers, and other electronic equipment. Corpsmembers sorted and set aside functioning electronics to be sold or donated and safely recycled non functioning electronics. Corpsmembers also accepted tires from the community and helped clean up the Sunnydale neighborhood! Thank you to the Sunnydale residents and all who attended to build community together! On August 15th, 2018, SFCC staff attended the Prop 39/Pipeline Community of Practice meeting in Richmond, Ca to discuss our MC3 Curriculum and address what works, how to make it work and identify what can be improved! In attendance were instructors, program directors and Prop 39 graduates who successfully completed the program and gained entry into a union. Our very own SFCC Director of Community and Career Development presented on our MC3 Financial Literacy, covering topics such as Budgeting 101, Spending Habits and establishing S.M.A.R.T. goals which stands for: Specific, Measurable, Attainable, Relevant and Timely. 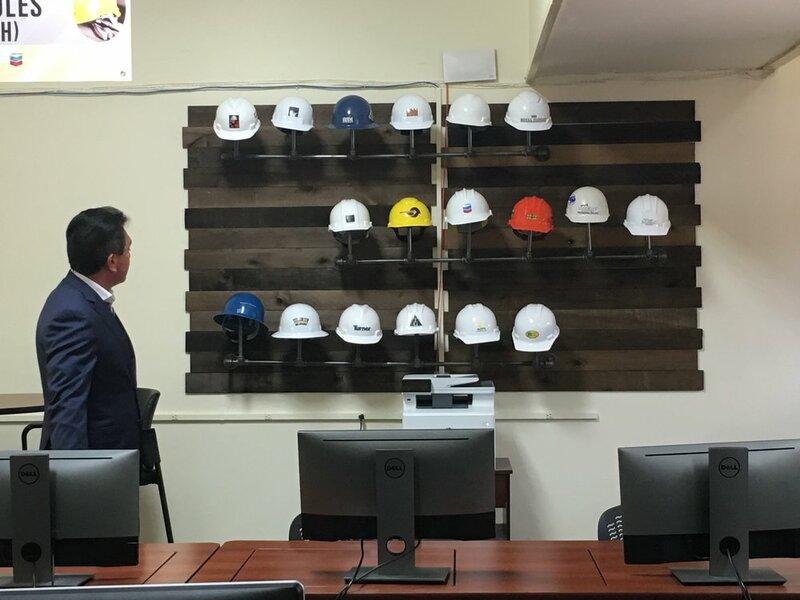 After reviewing the curriculum, we toured the RichmondBuild facility and learned about their 12 week Construction Management course offered to Prop 39 apprentices and community members interested in joining a building trade. SFCC is interested in add a 'blue print reading' portion to our existing MCS Curriculum and will be in communication with the Prop 39 community to see how we can add that component in the future! Take a look at a few of the photos we were able to capture on site! Thank you to Richmond Build and the Prop 39 community for all the work you do to help young adults achieve their dreams, we are grateful to be a part of this incredible work! Copyright © 2018 San Francisco Conservation Corps.